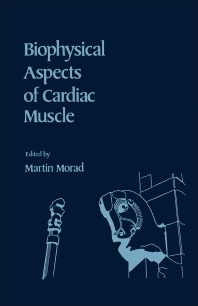 Biophysical Aspects of Cardiac Muscle is based on the proceedings of the first cardiac muscle symposium held May 1977, at the Pahlavi University in Shiraz, Iran. The compendium deals with topics on the gating processes in excitable membranes; ionic transport mechanisms in the generation of cardiac action potential plateau; structure and function of the sarcotubular system; excitation-contraction coupling in heart muscle; and mechanisms of drug action in cardiac muscle. The book will be of value to physicians, cardiologists, physiologists, and researchers in the field of medicine and anatomy. General Discussion on "The Inward Rectifier"
Glycoside Induced Stimulation of Membrane Na-K ATPase—Fact or Artifact?